I know we all experience this never-ending cycle of mental or physical reaction called ‘stress’. We usually feel stress when we feel that everything has become too much to bear. As a result, we look for a diversion. We redirect our attention to things that would take us away from the stressors in life such as going out with family and friends to eat, staying in a bar, or doing recreational sports. The latter would be the ideal way of bidding goodbye to stress. Now, it’s up to you what sports you are bringing yourself into. Here’s an idea. How about canoeing? Great? Let’s work on it then. To perfectly plan out your expedition, grab a cookie and let’s find first the best canoe paddle to stir the waters faster. Canoeing is one of the most enjoying sports one can think about engaging on weekends which involves paddling a small craft through the waters. Other countries, including Europe, refer this sport to both canoeing and kayaking, although they basically have different sitting position. In canoeing, the paddler has to sit on a raised seat or kneel on the bottom of the boat. Kayaking, on the other hand, has required the paddler to sit on a lower seat with their legs extended on the front. And in order to have the best and the most memorable journey with canoeing, never fail to choose your paddle partner very well. Canoeing can be done as a hobby, a recreation or sports, a holiday break activity, or even a fitness workout. This activity involves your full body strength, thus, giving you a lot of health benefits. Burns calories: Recent researches were published saying that paddling and rowing are faster in burning calories than biking. They burn 400 calories when moving at a speed of 3 to five miles an hour. Boosts self-confidence: Canoeing can build positive self-image by overcoming the challenge in water rapids and strong currents, even in paddling longer distance than you did before. A recent research has found out that canoeing enhances one’s social skills and self-satisfaction. Improves body strength: This activity basically boosts cardiovascular system. Paddling at a steady pace will make you breathe faster and will have your heart pump harder. When you make it a regular activity, it will surely increase your muscle strength, particularly in the back arms, shoulders, and chest. It will also develop torso and leg strength as this activity mainly involves rotating the torso and putting pressure on your legs. Turning your canoe relies mainly on the shifting of your upper and lower abdominal muscles which develop your balancing. Enhances joint flexibility: Your movement when doing canoeing is patterned, hence, keeping the joints at a lower impact. This does not make the joints be overused and it keeps them from misaligning or dislocating. Soothes mentally: According to Harvard Health Publications, aerobic exercise triggers the release of brain chemicals that helps in the improvement of your mood quickly. Since canoeing should occur in the waters, the paddler gets the chance to be close to nature wherein once could relax and feel the soothing sensation thus freeing you from stress and other disturbances. 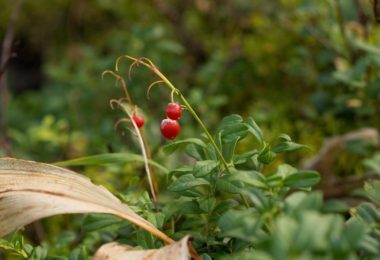 Many of us enjoy spending canoeing wherein one could take a close look at the natural habitat of birds and other animals. 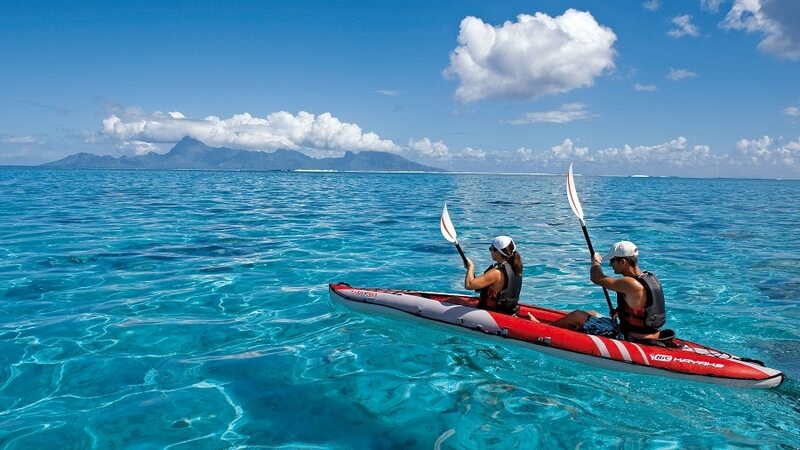 Also, paddling is one of the exhilarating things to do when you’re in the water which could also be combined with other water activities such as fishing. Aside from that, this activity may also provide educational information and benefits for children. Time-efficient: Unlike going to the gym, canoeing only costs a short amount of time yet very effective in providing all the health benefits. Lifelong learning: It has been proven that paddling and rowing through the waters are lifelong sports to be enjoyed by all walks of life. Now that you have finally decided to go into streams this weekend, think about bringing your best partner for this activity. You have a canoe, now go to one of the best canoe paddle stores in your place and have a chat with the crew as to how you could own the best paddle in town. Two heads are always better than one, I may say. 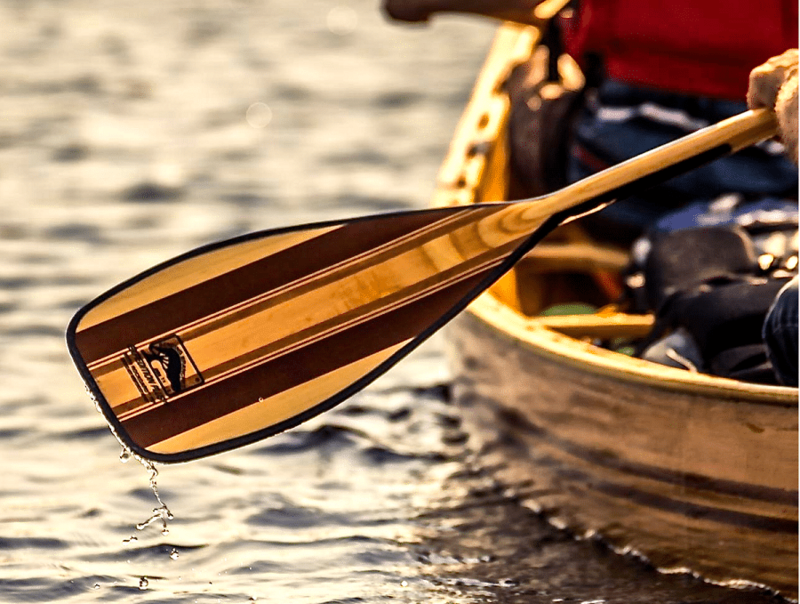 Choosing the best paddle for canoeing is not a difficult task you should do. Of course, there are factors you should keep in mind when buying them so you won’t be facing the wrath of your own frustrations. Imagine you are sitting in a canoe; kneel down with your bottom about 6 inches off the floor. While holding the paddle up, get its grip touches the floor and make sure the throat of the paddle should be between your chin and your nose. If you’re still not satisfied with the paddle you just bought, try fine-tuning it to have a better fit. If you have bought a bent-shaft paddle, cut 2 inches from the length you previously determined. Try considering adding 2 inches to the paddle length if you are using a wider canoe or if you are paddling from the rear seat. This is for the purpose of convenient paddling; reaching the water without too much lean. There is this general rule though that the shortest paddle allows you to properly reach the water, so it is up to you if you agree with it. It is always been the truth and the reality in every aspect of life that less weight is less stress. Same is true with canoeing; a lighter canoe paddle gives less fatigue. However, this is not applicable to all types of canoeing. You should consider balancing the paddle’s weight, strength, and its flexibility. When you are doing flat water canoeing, it is best if you bring with you a paddle which helps absorb shock with every stroke. While a strong and stiff paddle is preferred during the white water canoeing. 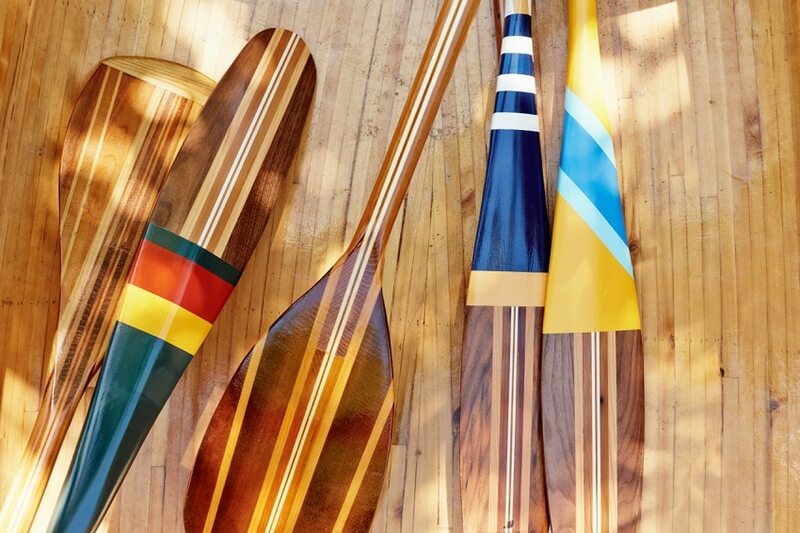 Wood material is classic and it is by far the most popular material for canoe paddles because of its beautiful characteristics when touching them. It gives a warm response to the handler during the activity, especially when a combination of the best characteristics of different soft and hard woods is available. 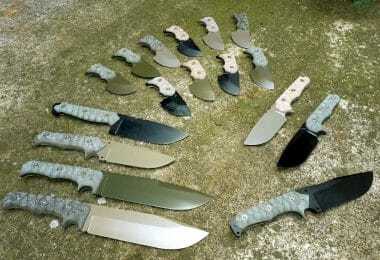 Most of the paddles have a layer of fiberglass over the blade which adds strength and durability. This kind of paddle works well when they are maintained by regular varnishing and sanding to avoid moisture and rot from staying. This kind of canoe paddles has a plastic blade and an aluminum handle. This is so convenient to use especially for the beginners since they are durable enough and they do not require maintenance. However, they are less comfortable and responsive than those of wood type and it will not be that enjoying gripping the aluminum shaft. They are very useful for spares because they are durable and hard. Canoe paddles made of fiberglass are rare and very expensive. 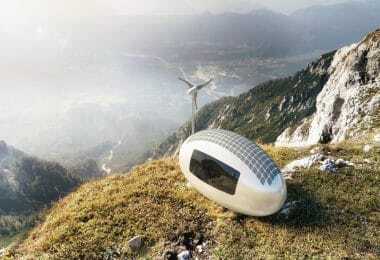 Its durability, lightweight, and no maintenance needed make it more expensive than the other materials. As I have always mentioned, canoeing is a great diversion from all stressors in life and could be a better channel to stay in shape and protect your health. But, you need the right canoe paddle to make your journey more fun and enjoyable. Choosing the best canoe paddle is quite a personal thing so here are some products out on the market. Review and have a feel of every product and later on you will stumble the best canoe paddle that suits you. 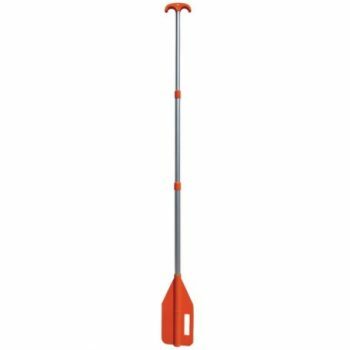 Description: The Kwik Tek P-3 Telescoping Paddle with Boat Hook is just right for canoeing which has an aluminum shaft that compresses inside the blade, and is stored with minimal capacity under the boat seat. It paddles conveniently because of its lightweight and it telescopes easily. It may not be too heavy for extensive paddling in emergencies; its bright orange blades are great for signaling during emergency situations. It is perfect when stored in the boat without using up a lot of room. The telescoping handle is very compact but is still usable when extended. This paddle may not be too friendly to be paddled in salt water because of its tendency to stick in the pole, but it has a corrosion-resistant aluminum shaft feature which saves it all. 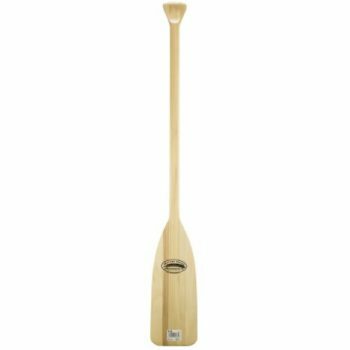 The paddle is also not too wide, but if you are looking for a lightweight and easy to tow canoe paddle, this might be the perfect paddle for you. Related: Kwik Tek has made the paddles available in other model and sizes, P-1 Telescoping Paddle with 20-45 inches, and P-2 Telescoping Paddle with Nylon bag. 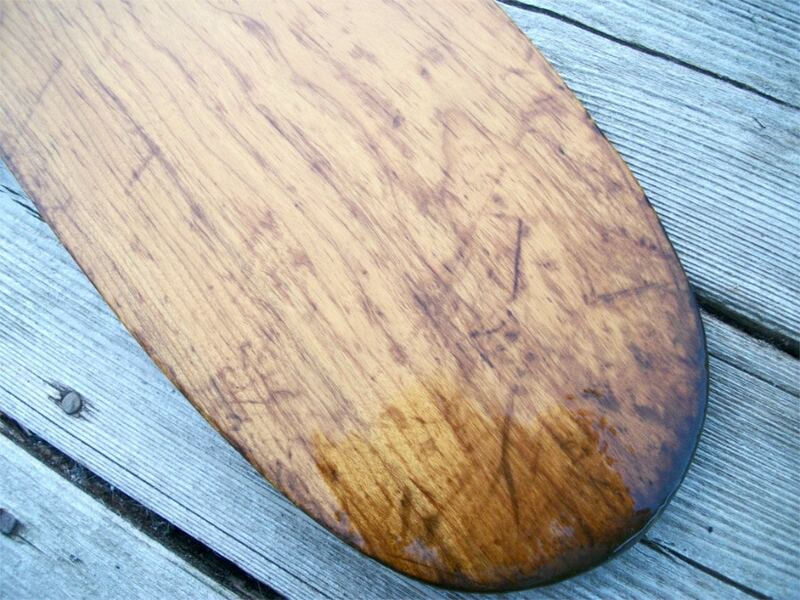 Description: This Attwood Wood Canoe Paddle is a good value for money. The paddles are offered with the best quality and best price. This comes with a decent finish and if you are not comfortable with the prints in the paddle, you may sand it off and paint it with the kind of finish you prefer. It does not have a strong lacquer coat so you will have to add some more. Some of its sizes are too short but work well with smaller canoes and fishing boats and have very nice build quality and very attractive. But, you won’t regret its lightweight and durability once you tested it out in the waters. You may also use this paddle as props or decorative piece in your bedroom and may be sent as customized gifts to your friends and loved ones. Above all, these paddles appear to be very solid and functional to both kids and adults. 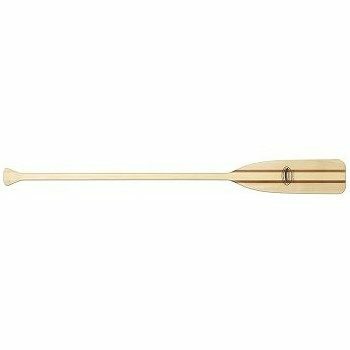 Description: Caviness Marine Twin Stripe Paddles are inexpensive, nice sized, and very easy to use in paddling canoes when you plan on canoeing this summer or during weekends. They are very light compared to other plastic paddles and are very convenient especially for distant paddling. Its construction is sturdy enough for recreational paddling. You may want to redo its coating with varathane or polyurethane due to its thin original coat which tends to wear out on its first use. Its finish is a little rough but can be easily sanded off and resealed in just 5 minutes. It has a well-executed and nice design perfect for wall decorations at home or in the office. It could be helpful in pushing off rocks or logs and it is easy to maneuver as you move through the waters. It also has a plastic insert in the bottom to avoid splitting. If you are looking for an affordable and very manageable to use paddles, go grab some Caviness Marine Twin Strip Paddles. Most of us, if not all, believe in the phrase ‘prevention is better than cure’, so that makes us think our safety first before going to any activity areas or indulging in any sports such as this. Be sure you know your limits if you plan to paddle, and have these basic tips to safeguard your health and your life. Ethics and conducts. Always remember the key points in dealing with the natural paddling resources. Be disciplined enough to use and share these resources. Do not bring in alcohol and other toxic substances. Never fail to wear your lifejacket. When you are canoeing, you have to expect the occasional overturns in the water. Learn about Personal Floatation Device (PFD) and how they can save your precious life. Paddling in rivers can be dangerous; wear a helmet. Also, make sure you are visible to others; put reflective tape on your helmet, lifejacket, and canoe. Enrol in an on-water course. This course provides you basic information and training about canoeing and other water sports rules and regulations. Seek qualified instruction to know proper paddling techniques and basic first aid. Be aware of weather conditions and temperature. Be prepared for changes in weather. Know that cold water is not good for your health so wear something that keeps you warm and comfortable. When it is warm, try having a long sleeve shirt to protect from UV rays. Go home when the weather is bad. Pack up your protective equipment. Be sure to bring the proper paddling paraphernalia. 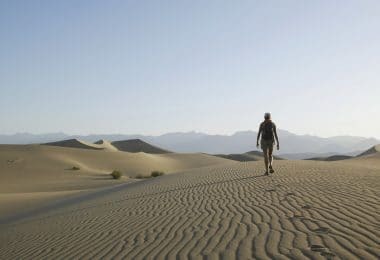 Please don’t bring along your entire closet, only those which are useful for the activity such as sunscreen, hats, long sleeve shirts or jackets (during cold weather), first aid kit, map, and of course your food and plenty of water to keep you hydrated. Store them in a waterproof bag to keep it dry and tie it to the center beam of the canoe to make sure you don’t lose everything when the canoe tips over. Upon getting into the canoe, have someone assist you by holding the canoe steady. Crouch low and firmly hold the sides of the canoe for balance as you walk to your seat. Be sure to walk along the center line so it will keep the canoe from rocking. Stay low when you are away from the shore and keep yourself steady and relax so you won’t fall off. Avoid sitting on the side of the canoe so you won’t tip over. Feel the current. If you notice that the current is carrying you along faster and you see a lot of rocks in the water ahead of you, carefully paddle away from the rocks and return to the shore. Stay away from low hanging trees or branches along the shore. Do not let big waves strike at the side of your canoe. Always keep it at the right angle to the waves. Have knowledge about off-shore winds which make it hard for you to return to the shore. If, unfortunately, your canoe trips over, do not panic; immediately push or paddle towards the shore. Your canoe will float even if it’s full of water. Empty it once you get to the shore. Store your canoe paddle in a good place. You may buy a canoe paddle holder or rack online or at the nearest store. Keep it out of the sun and put it away from moisture. As a conclusion, to really enjoy your adventure in paddling through the waters, make sure you make the best and the smartest choices especially in choosing your paddle partner that suits you. You have the freedom to pick out and understand the appropriate length, weight, and the different design and materials of your paddle. 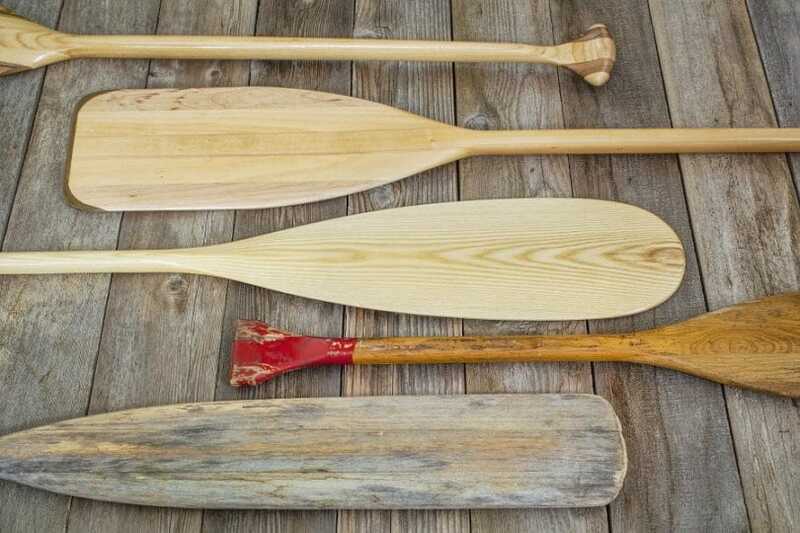 You may settle on the perfect paddle materials such as wood, plastic or aluminum, or paddles made up of fiberglass. If you are in tight budget, many stores can offer the most affordable but functional paddles for you. If you are extravagant, choose the right canoe paddle that is worth the price. And when you’re ready to paddle, know for certain the basic guidelines and safety tips in canoeing. Be aware of the weather condition so you won’t be pushing the canoeing when it is not advisable. Take with you the most important personal protective equipment such as Personal Floatation Device (PFD) or lifejacket, sunscreen to protect you from radiation, first aid kit, food and water to keep you hydrated, and extra shirts and pants when you change clothes. Also, don’t forget to remember a spare of paddles in order for you to avoid getting stuck in the middle of the rivers and maintain the happiness you have been feeling since the start of your canoeing. Most importantly, tell someone about your plan. It is best when someone else knows where you are going, what you will be doing, how long you will be gone, and whom you will be with. So be witty in planning out your paddling journey through the waters!